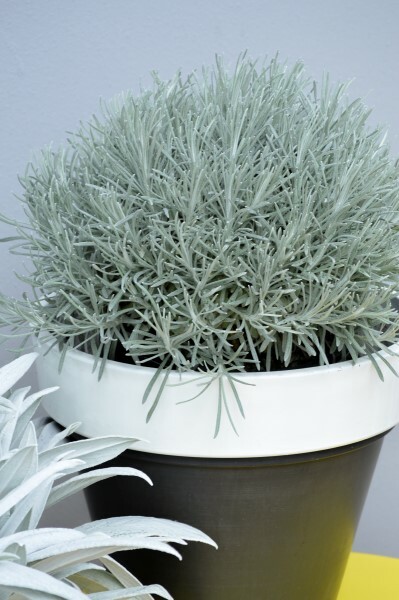 Silver grey, aromatic foliage adds colour and textural interest to both container and garden displays. 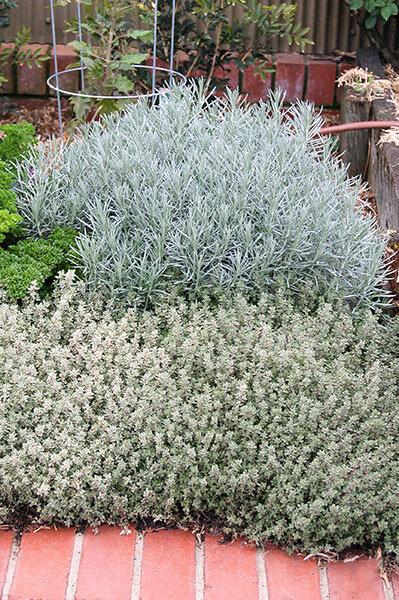 Very dry tolerant and easy to grow. 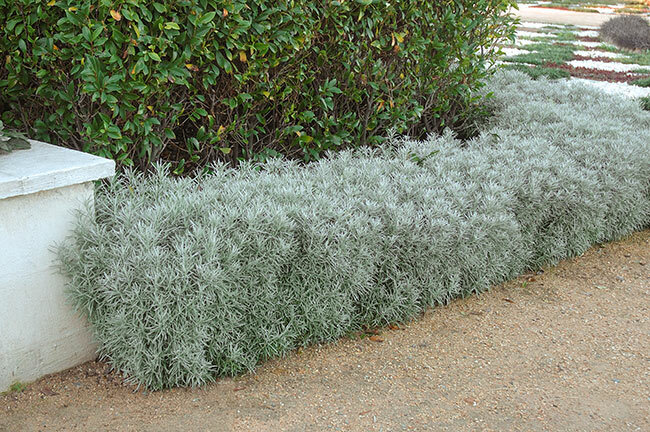 Responds well to clipping for low hedging and topiary. Quick to grow, with a compact habit. Small, pale yellow flowers may appear in summer. Low water requirement once established, quite dry tolerant requiring only occasional long soak during extended periods of heat. CARE: Select a sunny location in most soil types that are well draining. Prune to shape in early spring and apply slow release fertiliser. 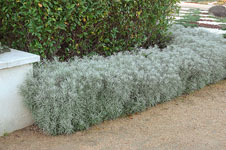 Trim to shape for hedges. • Mass plant for low maintenance areas.